Democracies derive their resilience and vitality from the fact that the rule of a particular majority is usually only of a temporary nature. 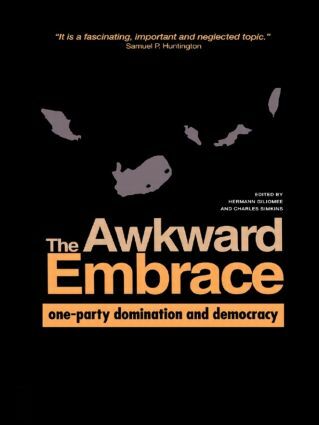 By looking at four case-studies, The Awkward Embrace studies democracies of a different kind; rule by a dominant party which is virtually immune from defeat. Such systems have been called Regnant or or Uncommon Democracies. They are characterized by distinctive features: the staging of unfree or corrupt elections; the blurring of the lines between government, the ruling party and the state; the introduction of a national project which is seen to be above politics; and the erosion of civil society. This book addresses major issues such as why one such democracy, namely Taiwan, has been moving in the direction of a more competitive system; how economic crises such as the present one in Mexico can transform the system; how government-business relations in Malaysia are affecting the base of the dominant party; and whether South Africa will become a one-party dominant system.